Where Do My Flavorizer Bars Go? Knowing where to place the Flavorizer Bars in your Weber grill is crucial for being able to effectively operate the grill and cook delicious meals. If the Flavorizer Bars are not positioned correctly dripping grease, sauces, marinades and other substances can find their way to the burners, which can cause flare-ups and also result in clogged burners. It can be confusing to know exactly where the Flavorizer Bars should be placed, especially if your grill was assembled by a dealer or store. All of Weber’s full-size line of grills use Flavorizer Bars, but the placement and appearance of each model varies slightly. Spirit models, with front-mounted control knobs, have indentations in the front and back of the cookbox to place the Flavorizer Bars. In the photo below the arrows point to where the flavorizer bars should be centered. The next photo shows the same grill with the Flavorizer Bars in place. 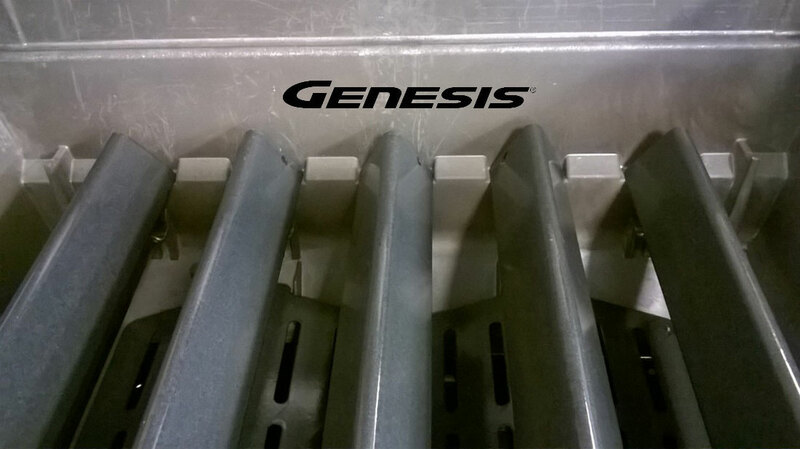 Genesis models have slightly different indentations than the Spirit models. Instead of one large indent for each Flavorizer Bar, they have two. Each Flavorizer Bar needs to be centered over the “peak” between each indent. The arrows in the photo below indicate where each Flavorizer Bar needs to be centered. 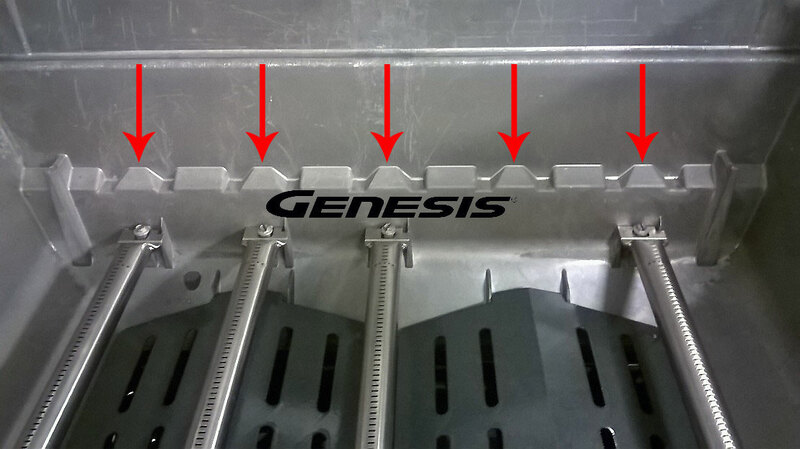 The next photo shows the Genesis with the Flavorizer Bars in place. 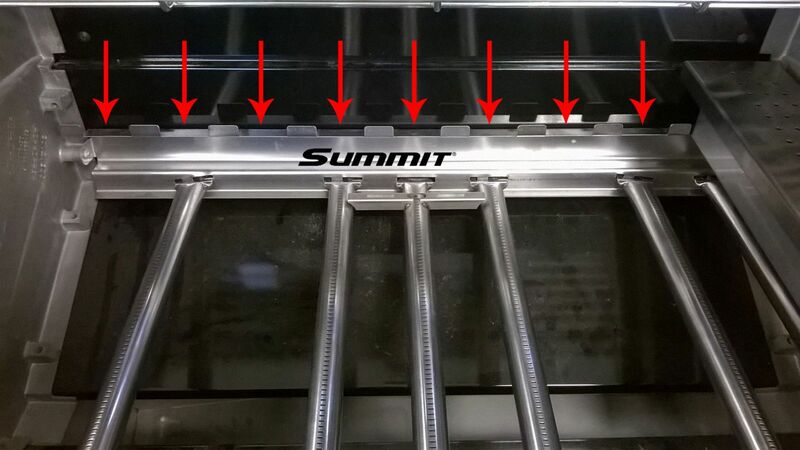 Summit models use a metal support bracket to hold up the Flavorizer Bars. There are slots in the bracket for each Flavorizer Bar to rest within. The flavorizer bars should be centered in each slot. 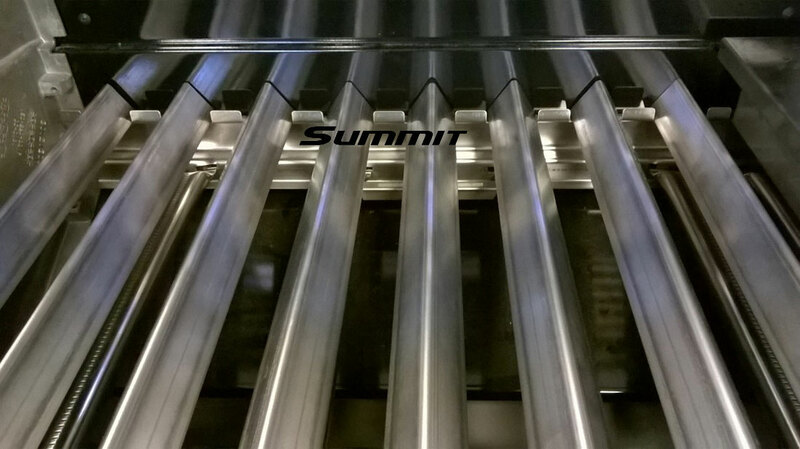 The next photo shows the Summit with the Flavorizer Bars in place. On my own grill, I like to periodically rotate the positions of each Flavorizer Bar. Most people tend to do a lot of their grilling in one specific area of the cooking grates. In my case, I tend to do a lot of cooking right in the very middle. This means that the Flavorizer Bars directly below that area receive a lot more punishment than the Flavorizer Bars in other locations. By periodically changing their positions, they will wear more evenly and last longer. By properly installing the Flavorizer Bars in your grill the burners will be protected, will last much longer, and will provide more even and consistent heat to give you the perfect conditions to grill delicious meals and create lots of wonderful, backyard memories.